In the past few years, our world has grown increasingly interested at the planet Mars. It is the closest planet with similar qualities to Earth- though we still cannot safely travel there and would not be able to colonize it…yet. Along with many other studies, experiments, and tests, NASA sent up the Opportunity rover fifteen years ago to explore the surface of the red planet. 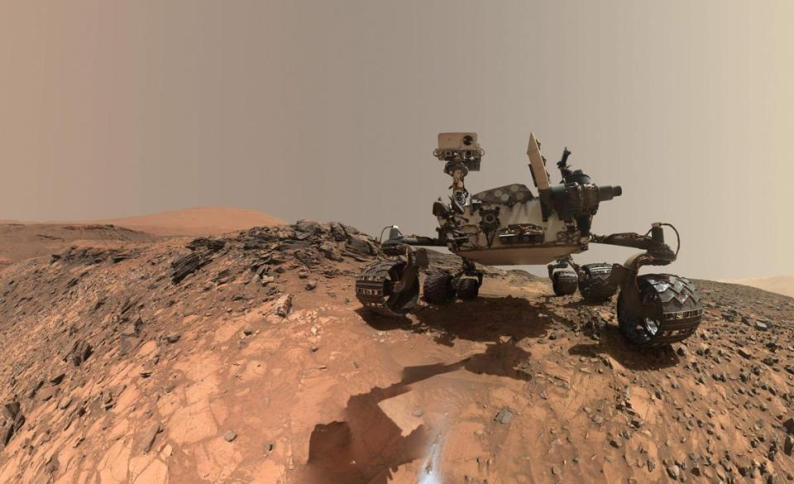 Other rovers include the Curiosity, a larger rover sent to explore the huge Gale Crater on Mars- which also gained internet fame for singing ‘Happy Birthday’ to itself, invoking a wave of celebration on social media. It seems people are quite fond of the charming little explorer bots, often checking out the Twitter accounts NASA has set up for some of their rovers for updates. Recently, however, tragedy struck the internet when NASA announced that the Opportunity rover lost contact with Earth. Due to a Martian dust-storm, Opportunity’s solar panels became coated with dust and the rover was incapable of recharging its energy, delivering one final haunting message to Earth, “My battery is low and it’s getting dark.” After NASA made repeated attempts to regain contact with the rover, it was clear there was no going back. It was an emotional moment for the team at NASA, who later pronounced the rover deceased. With that, the internet was sent into a down spiral. Users on Twitter, Instagram, Tumblr, Reddit, and other sites flooded feeds with posts about Opportunity. Some expressed genuine outrage, others took the chance to make memes out of the rover, and many showed a genuine sadness about the news. Clearly, people are very passionate about the rovers- Is the reaction really outrageous? NASA gave the robots cute little names and personalities, making the experience more personal. Fortunately, Opportunity’s death was not in vain. For over a decade, the rover collected countless samples and information about Mars and gave the team at NASA a better understanding of the science of the red planet. With this information, we will be able to better explore Mars with future rovers and maybe even send people to the planet one day. Opportunity will be survived by the Curiosity (who posted a farewell message to “Oppy” on Twitter after the news came out) and other Mars rovers, as well as the hard-working group at NASA who managed the robot day to day. NASA also released a ‘wake up’ playlist that was sent to Opportunity which has some pretty sweet jams on it for people looking to remember the rover. For more information, visit the #ThanksOppy tag or @MarsRovers on Twitter or check out the NASA website. Thank you for your brave efforts and the knowledge you have provided us, Opportunity, and rest in peace.